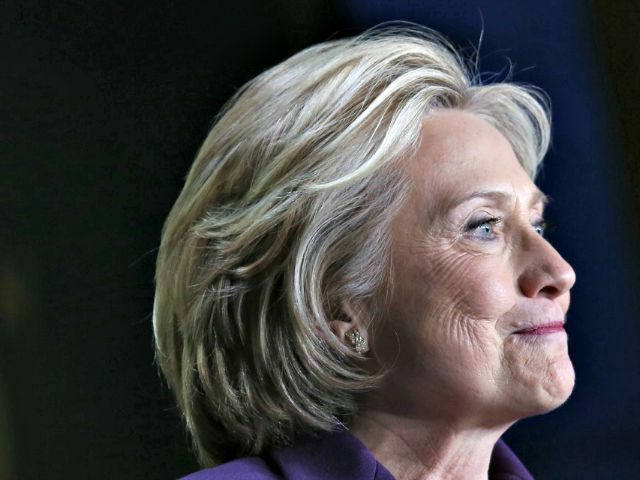 Yesterday we learned Hillary Clinton’s computer company, tiny Platte River Networks of Denver, Colorado, was not authorized to handle the classified and Top Secret material contained on her illicit email server. One, Tera Dadiotis, called it ‘a mom and pop shop’ which was an excellent place to work, but hardly seemed likely to be used to secure state secrets. And Tom Welch, who helped found the company, confirmed the servers were in a bathroom closet. It can also be disclosed that the small number of employees who were aware of the Clinton contract were told to keep it secret. Remember back at the beginning of this farce, when Clinton assured us her server was kept in a secure facility and guarded by the Secret Service at all times – as if that would have prevented hackers from attacking it? According to what we’ve been told so far, Clinton’s server didn’t end up in that Denver bathroom – it was in Chappaqua, and later moved to a data center in New Jersey, which makes it increasingly bizarre that a company working out of a loft apartment in Colorado would take charge of it. The employee who talked with the Daily Mail left Platte River Networks in 2010, and conceded that they probably beefed up their facilities a bit before they took on the Secretary of State’s secret email server in 2013. However, the Daily Mail reports the company didn’t move out of that loft apartment until recently, “when they moved to a much bigger 12,000 square foot space,” celebrating the move with an open house party on June 18. Describing it as ‘a great place to work, but kind of like a mom and pop shop’, Tera reacted with disbelief that her former company was hired to manage the email system of Democrat juggernaut Hilary Clinton. Speaking to Daily Mail Online at her home in Castle Rock, Colorado, Tera said: ‘I think it’s really bizarre, I don’t know how that relationship evolved. ‘At the time I worked for them they wouldn’t have been equipped to work for Hilary Clinton because I don’t think they had the resources, they were based out of a loft, so [it was] not very high security, we didn’t even have an alarm. The Daily Mail also goes a long way toward solving the mystery of how Hillary Clinton, who lives on a vast estate in Chappaqua, New York, chose this loft apartment company in Denver to handle her email server: the company has solid Democrat Party connections, did some work for Democrat Governor John Hickenlooper, and might have come to the attention of the Clinton organization during the 2008 Democratic convention. Other former employees pointed out that Platte River did nothing wrong by accepting the work from Clinton, which they tried to keep quiet, and handled to the best of their ability. It was Hillary Clinton’s legal responsibility to ensure that classified information was properly handled; given that she’s been lying about it for so long to everyone else, it’s quite possible that she never told Platte River about it.